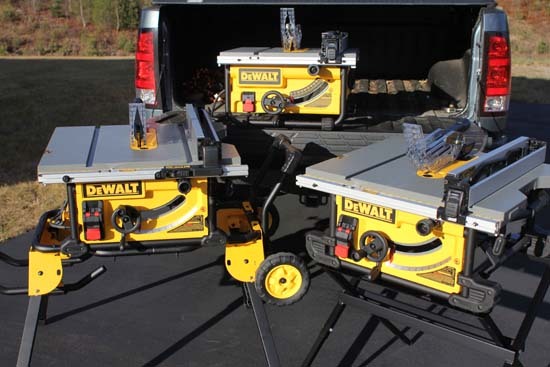 DEWALT recently introduced a new line of portable table saws that include significant updates and features. The new line includes 3 new models; DWE7480 – 10″ Compact Table Saw, DWE7491X – 10″ Table Saw with Scissor Stand, and DWE7491RS – 10″ Table Saw with Rolling Stand. All three saws include upgraded blade guards and a unique new fence system. I’ve spent the last couple of months using these new table saws and I’m excited to share my thoughts on them. The DWE7480 table saw is their smallest, most compact job site model. This small but powerful saw features a 15 amp motor and only weighs 48 lbs. The saw includes their rack and pinion fence system, 24″ rip capacity, and a steel frame/cage. Priced under $400 this little guy is perfect for the contractor on the run or even home owners with limited storage space or budget! For more detail check out my recent review: DEWALT DWE7480 Table Saw Review. The DWE7490X Job Site Table Saw is larger than the DWE7480 and it comes with a steel scissor stand. This model also has a 15 amp motor and weighs in at 58 lbs. The larger saw means an increased rip capacity of 28-1/2″. 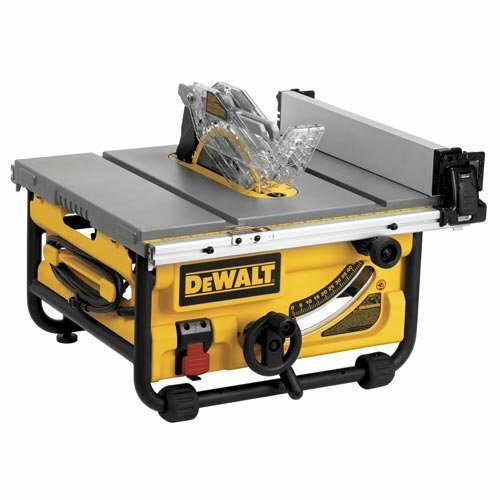 This model is priced around $500 which is about $100 cheaper than their premium saw the DWE7491RS. 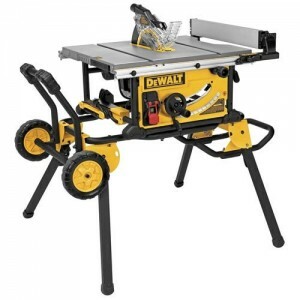 For more detail check out my recent review: DEWALT DWE7490X Table Saw Review. Last but certainly not least is the DWE7491RS Job Site Table Saw with Roller Stand. 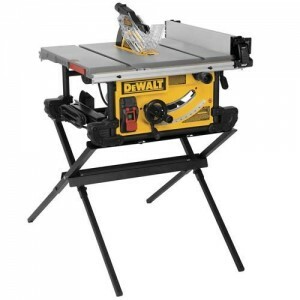 This is the best job site table saw on the market right now (in my opinion). This model offers even great rip capacity and an excellent mobile stand. The saw comes with a powerful 15 amp motor and boasts a 32-1/2″ rip capacity! This saw leads the industry in rip capacity while offering plenty of power and a very accurate fence system. Priced at $600 with a mobile stand I think it’s an exceptional value! You can learn all about it in my recent review: DEWALT DWE7491RS Table Saw Review.